that comes our way, which suddenly happens to us? it’s all about living in love and loving your life. 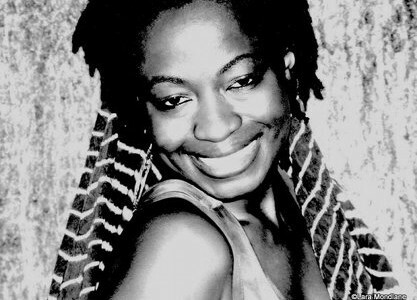 Queen Lariuskus, aka, Lara Mondlane is a Mozambican born poet, photographer and film professional. She moulded herself and her passions in the course of her travels around the world, particularly whilst living in London, and Cape Town. In Cape Town, Queen Lariuskus formed the group LAGAMA, together with Gabriela and Marina, two close friends. They performed live in various spots in Cape Town and brought the project to Maputo. Now back in Maputo for an indefinite time, Queen has been involved in promoting various artists and cultural events. Recently, she worked as a continuity supervisor in prize winning Short Films produced by Mahla Filmes for Nweti-Communication for Health (an affiliate of SOUL CITY INSTITITUTE). Queen has chosen cinema and photography to express what she often would say in words and is enjoying the ride.